Age spots are usually caused due to overexposure to the sun, and are flat and often appear in brown, black or gray. This occurs as your skin produces melanin to combat the sun’s harmful UV rays, but the melanin usually ends up concentrated in small spots all over your skin. Age spots may also be caused due to picking at your skin, hormonal changes, acne and inflammation and even selected medicines like antibiotics. These spots are harmless, but some people may not like the look of them. 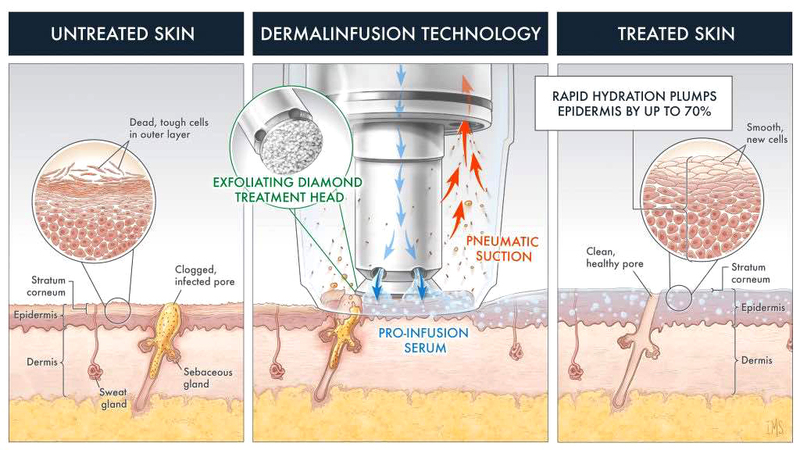 Just like microdermabrasion, SilkPeel Dermalinfusion uses a diamond head to exfoliate the upper layers of your skin to eliminate the dead skin cells. 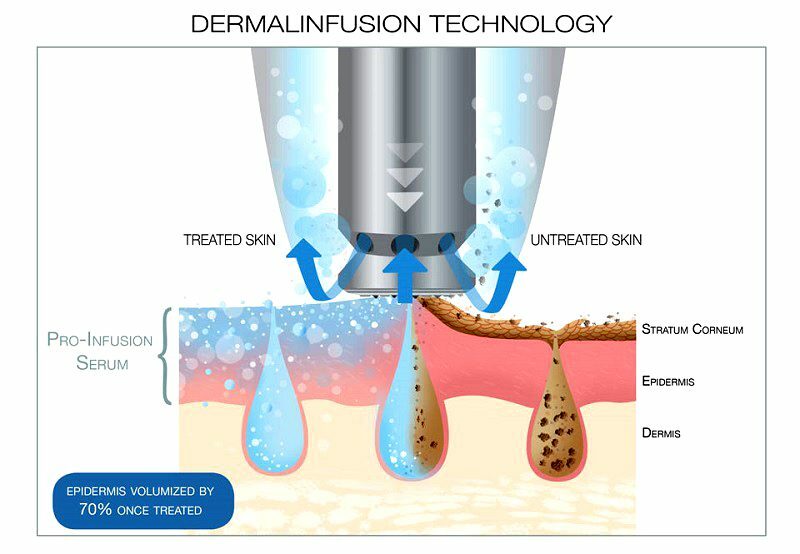 Utilising carefully controlled pressure from a vacuum, it pulls skin into a chamber in the hand piece where it undergoes gentle or aggressive abrasion, depending on the intensity that is required. This gives the diamond head the chance to scrub away dead skin cells consistently, but also applies a topical solution into your skin at the area where newer skin cells start to grow. It is one step ahead of microdermabrasion as the process also encourages the production of fresh collagen, which is required for your skin to start the healing process. Your skin will enjoy benefits from the topical solution, and visible improvements should be seen which will transform your skin. Results will be noticeable after the first session, and these will continue to improve after each session. Any treatments will be scheduled about 2 weeks apart during the initial cycle, and you can choose to continue undergoing treatment at lengthier intervals once the first cycle is over. The optimum cycle and intervals will be discussed with you during the consultation session. There is no downtime required for the treatment, which may be completed swiftly in around 20 minutes but this might vary from person to person. You might experience a tingling sensation or minor discomfort if your skin is sensitive, but this is not long lasting and should subside after several hours. You will also be given constant advice regarding skin maintenance post-treatment, and be able to discuss this with your aesthetician as well. Interested to gain these amazing results through SilkPeel, make an appointment to speak to our doctor now!